Discussion in 'iPhone and iPad Games' started by Zwilnik, Mar 9, 2016. The hit Apple TV fishing game by the creators of Flick Fishing is coming to iOS with brand new fishing spots and new fish! 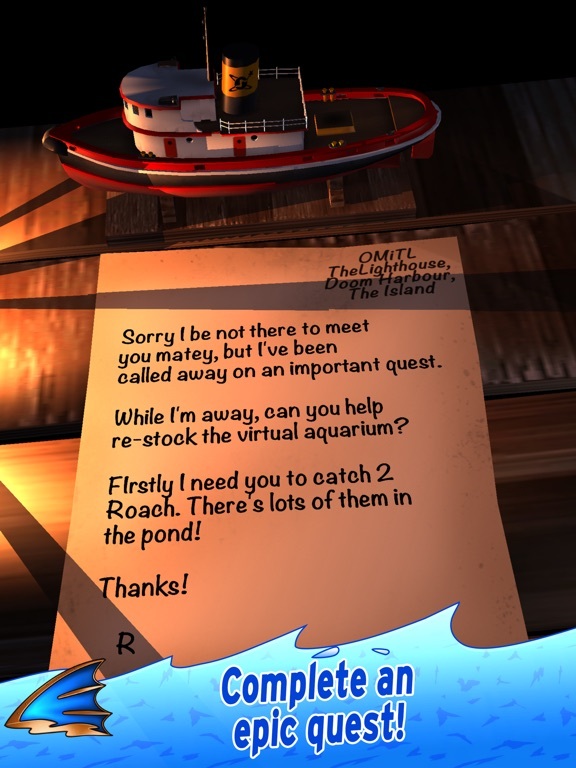  Fish in 8 gorgeous living 3D locations for 30 different kinds of fish and unlock them to show off in your virtual aquarium! 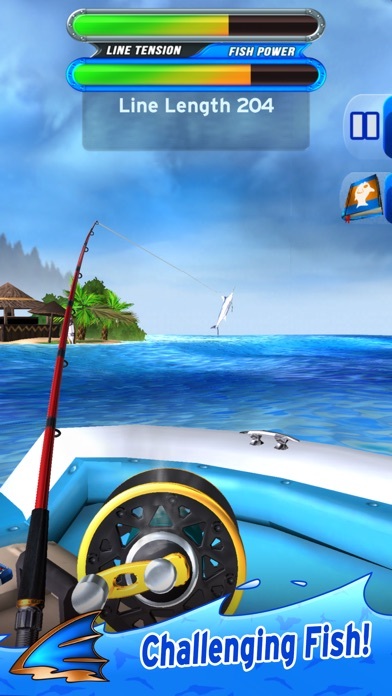  Take it easy, kick back and just fish in each spot or see if you can win trophies in competition modes. 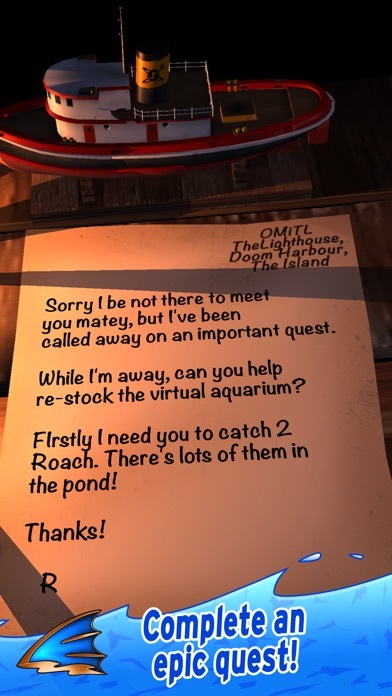 Or take on a quest that will carry you around the island in search of rare fish and treasure! 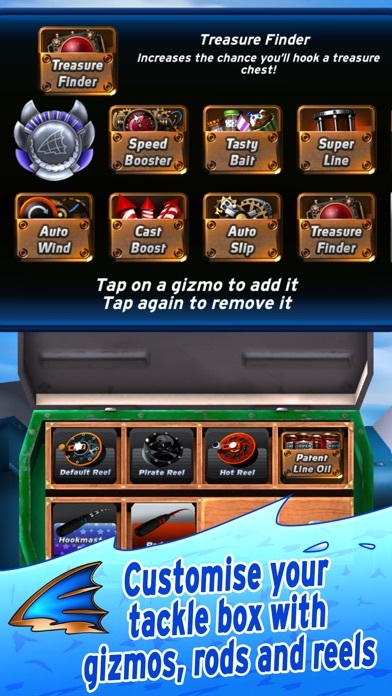  Boost your fishing skills by unlocking different gizmos, fish charms, rods and reels. Choose the right bait and see if you can catch one of the super rare and very large, named fish that hides in each spot.  What about fishing with your friends? 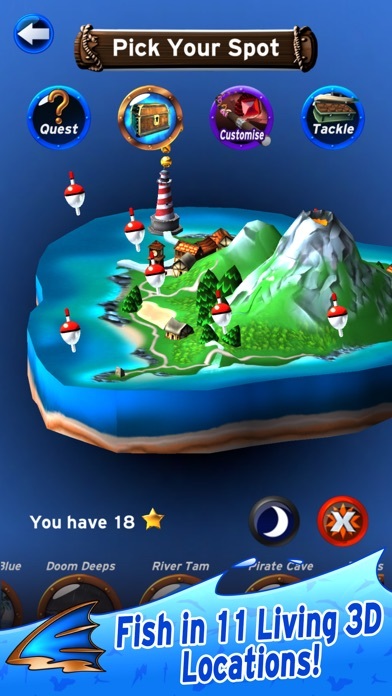 Join in a multiplayer game of Fish! playing on your Apple TV, iPhone or iPad over your local network.  Vs CPU, Multiplayer network or turn based competition modes. If you play turned based competitions in network mode you can even play team vs team!  MFi Controllers and iCloud game save supported. 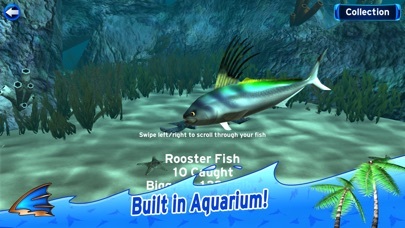  As with all Strange Flavour's Apple TV games, Fish! is Universal Purchase, so buying either the Apple TV or iOS version lets you download both. *Network play with AppleTV version with Fish! Apple TV 1.1 coming soon! Fish! is out *NOW* for iOS on 10th March for $3.99 (or free if you've already bought the Apple TV version). 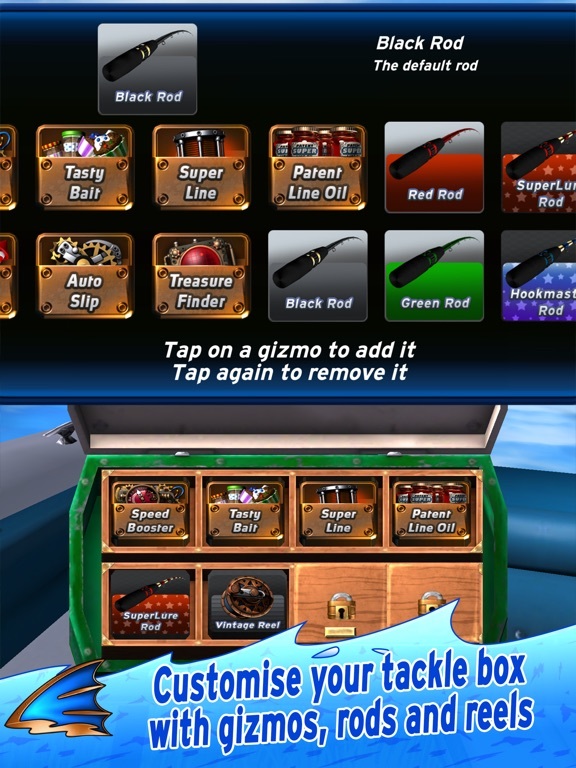 From the award winning creators of Flick Fishing comes a full blown update! 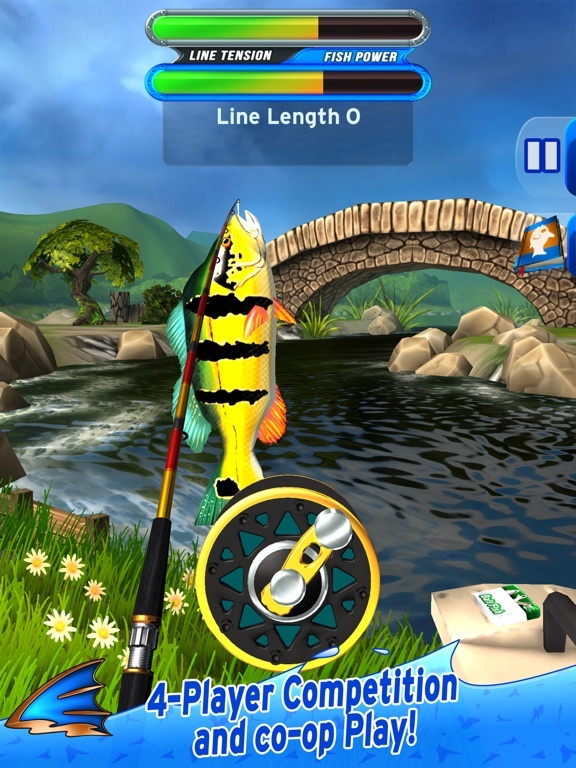 Flick Fishing is Strange Flavour's classic fishing game, originally created for iPhone and now re-written especially for the Apple TV and iOS Amazing Sequel that’s easily worth !!! ***** by Nate333333333 – Mar 5, 2018 I used to love playing Flick Fishing and since that went down I discovered that you guys made this!! Excellent game and so much fun! The difficulty makes it extremely fun and addictive. Keep the fish comin!!!! Way better than the original ***** by ButterBoss28 – Jan 7, 2018 The original was amazing, but this is outstanding! I am overwhelmed that I was able to find a game that could be so addicting and I love this! 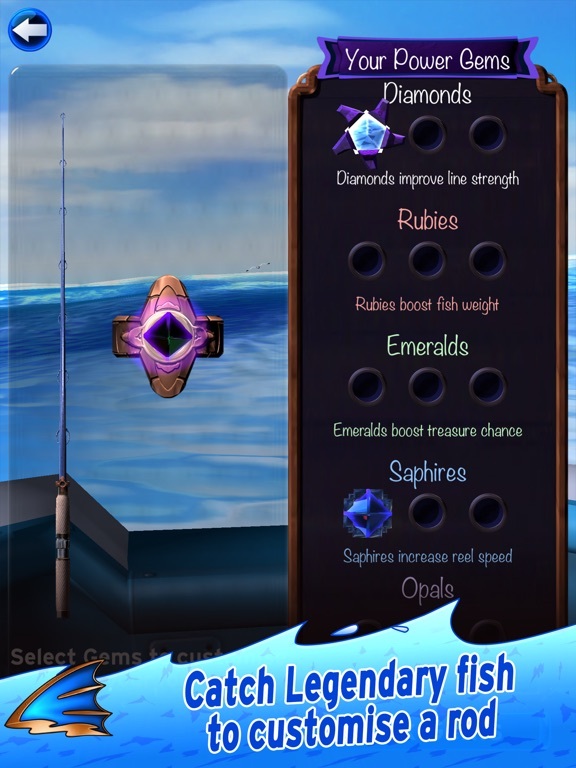 The best ***** by LeNautilus – Dec 21, 2017 The best fishing game in the AppStore. And nicely updated for iPhone X • New for V1.3 FishNet! Create or join a FishNet with your friends anywhere in the world and play against each other online. FishNet Teams let you join together to play against everyone else! 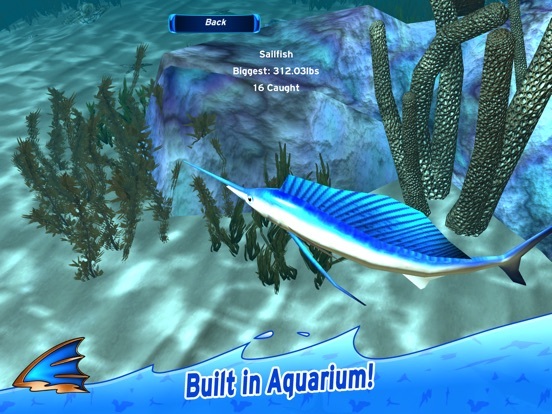 • Fish in 11 gorgeous living 3D locations for 34 different kinds of fish and unlock them to show off in your virtual aquarium! • Unlock bonus Xtreme and Night mode fishing spots • Take it easy, kick back and just fish in each spot or see if you can win trophies in competition modes. 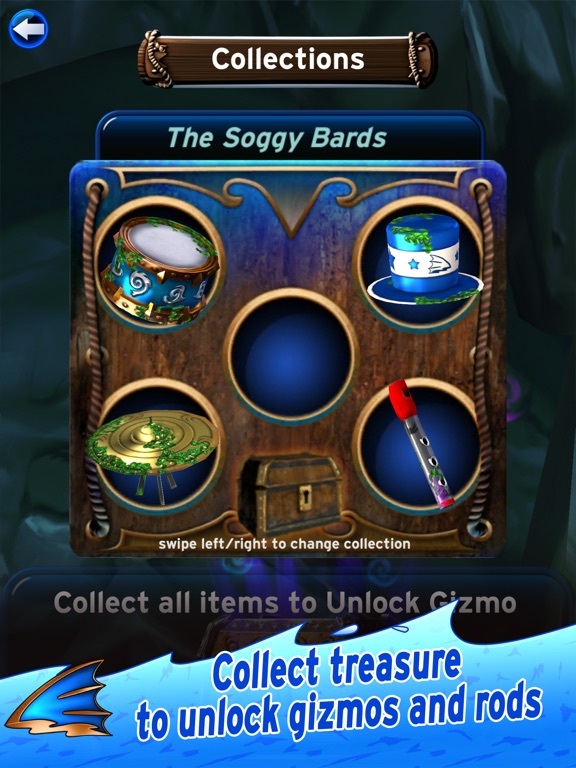 Or take on a quest that will carry you around the island in search of rare fish and treasure! 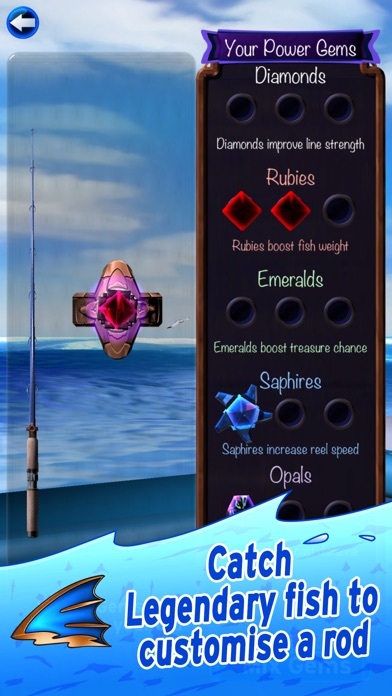 • Boost your fishing skills by unlocking different gizmos, fish charms, rods and reels. Choose the right bait and see if you can catch one of the super rare and very large, named fish that hides in each spot. • What about fishing with your friends? 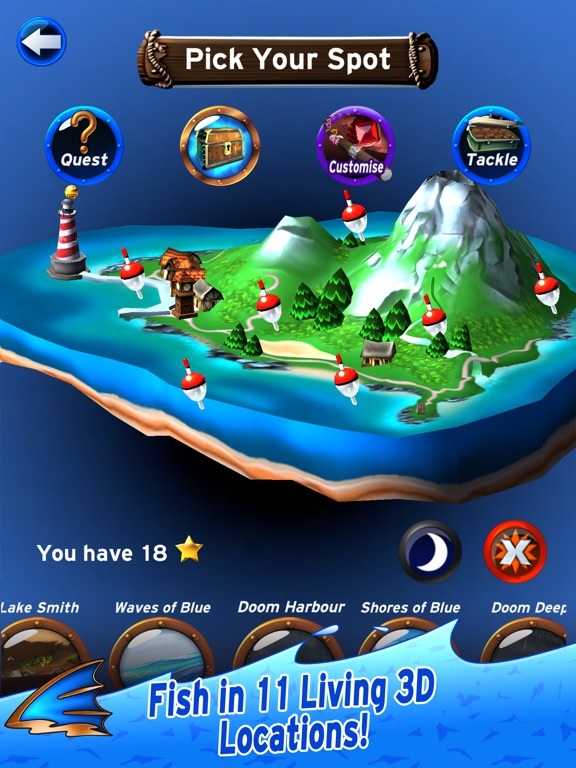 Join in a multiplayer game of Flick Fishing playing on your Apple TV, Mac, iPhone or iPad over your local network. • Vs CPU, Multiplayer network or turn based competition modes. If you play turned based competitions in network mode you can even play team vs team! • MFi Controllers and iCloud game save supported. ••• Now with Apple Watch play! Pop up your wrist and immediately fish in a unique location just on the Apple Watch! 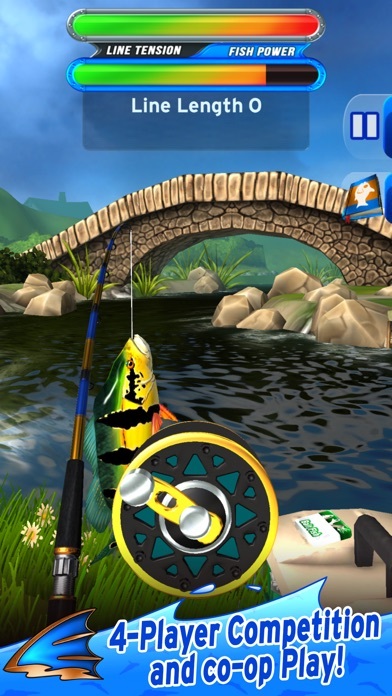 ••• • As with all Strange Flavour's Apple TV games, Flick Fishing is Universal Purchase, so buying either the Apple TV or iOS version lets you download both. *Network play with AppleTV version with Flick Fishing on AppleTV or macOS! It seems that all locations are unlocked from the beginning. Is that intensional? It went live a little early. Link's here..
Instabuy when I get home. (The anticipation is killing me). Me and my bro used to play Flick Fishing all the time when it came out. 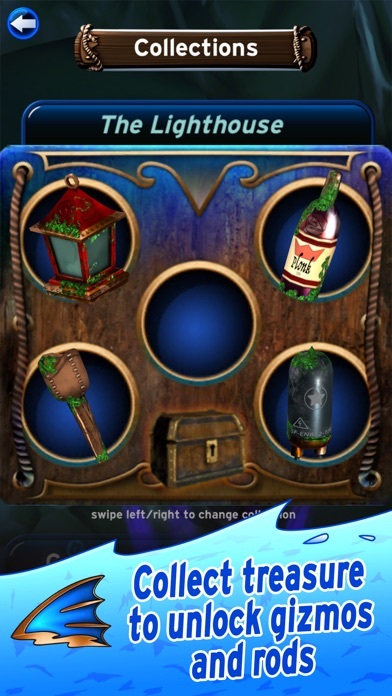 Are there any IAP's in this version? I really don't care if there are, I'm just curious. Anyways, congrats on the release! Can't wait to sit down and try it out when I get home. FYI, actually supporting a developer is how you get them to add multiplayer, telling them you don't value their work at 3 bucks is the best way for them to NEVER add multiplayer. Actually, it does have non-local multiplayer mode of sorts. You catch a fish and tweet your opponent how big it was. He/She then attempts to beat it. That way you're not limited to only a few players too. But yes, as Hippieman mentioned, the most likely path to us implementing internet multiplayer as well as the local, turn based pass & play and Apple TV multiplayer that we've already put into the game would be for us to sell enough to make it viable for us to implement (We've already looked at doing a reincarnation of the FishNet game mode we did in Flick Fishing btw. ). I have one question people. I'm definitely interested in the game. 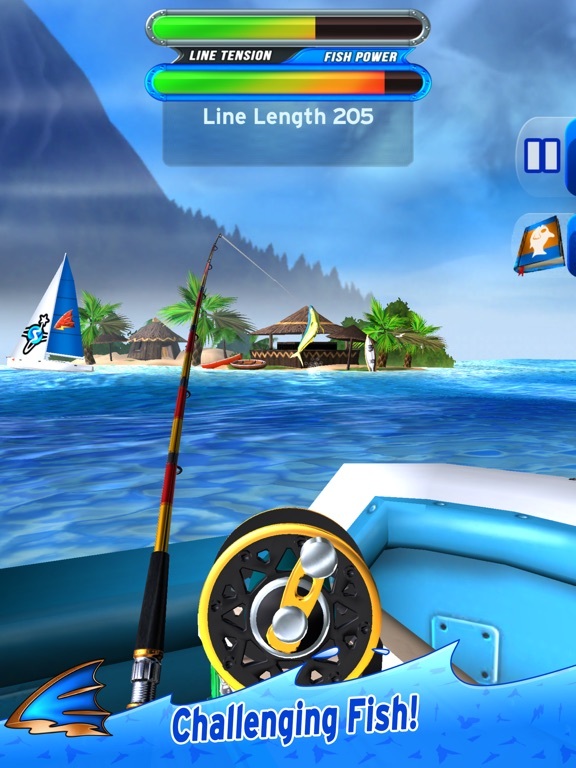 I haven't played a good fishing game in years and everyone seems to love this dev. My question is with the controls. I don't have to actually flick my iPhone to cast or anything do I? Is it just an on screen button to cast? By default on the iPhone it's flick to cast. But it has the option to switch to using a button to cast instead (works like a golf swing game where you hold down and release as near to the top as possible). The same system is used for MFi controllers on the iOS and Apple TV versions. Weirdest thing happened. My game center has been broken for months, but the achievement notification popped up twice. It's been months since that happened. My GC is still bugged, but there's progress I think. I'll post impressions later this evening when I've had time to catch a few orca whales. There better be some orcas. My weakness for fishing games has reeled me in. INSTABUY!